Washaway Bed and Breakfasts. Compare latest rates and Live availability for all your favourite places and places you have always wanted to go using our new My Shortlist feature. Click + to add to your Shortlist. 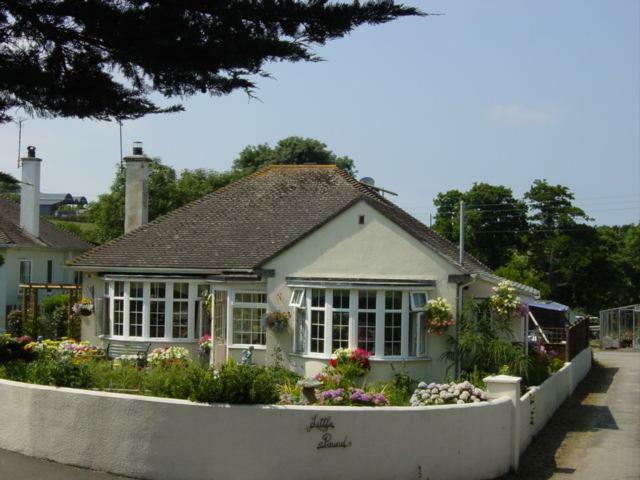 Bed and Breakfasts in Washaway, Cornwall for 1 night from Fri Apr 19, 2019 to Sat Apr 20, 2019 within 10 miles, in an Average Nightly price range of £1 to £200. Located within 2 miles of The Eden Project The Studio is an ideally positioned well-equipped self-catering apartment. Continental breakfast also available- delivered to your door (only available during peak times & booked at time of reservation) The Studio has it s own private patio and looks out onto communal gardens shared with the resident mini-shetlands the occupants of Bay View Cottage and the owners. The Eden Project is only 2 miles away and the historic Charlestown harbour is only a 5 min drive from The Studio. If you are wanting to visit the beautiful gardens of Cornwall there is also Heligan Caerhays Castle and Trewithen within a 15min drive. The Studio offers a mezzanine style bedroom with large double sleigh-bed and a spiral staircase leading down to the spacious living accommodation with glass dining table dining chairs corner sofa with wall-mounted tv/dvd player and stereo. The Studio also has a separate fully-equipped kitchen and bathroom with combined bath and shower. Outside The Studio also has it s own private patio area. Wi-fi is available to guests free of charge. The Studio is located in grounds which over-look St Austell Bay. There is everything needed to make a great break away from it all- St Austell offers a new cinema complex and a modest shopping centre. Fowey is only a 10min drive as is Mevagissey- both offer plenty of lovely restaurants and tea-rooms etc. Padstow and Wadebridge are only a 20min drive from The Studio also offering plenty of little shops and tea-rooms. Of course there are plenty of lovely beaches both on the North and on the South Coast which are easily accessed from The Studio s very convenient location. Further afield St Ives St Michaels Mount and Penzance are all within an hour s drive.